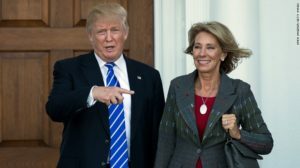 The biggest and most successful campaign of those who want to obstruct the administration of President Donald Trump is on the verge of success this morning with a vote taking place within the next hour on his nomination of Betsy DeVos to be Secretary of Education. Americans for the Trump Agenda urges every conservative to telephone their two U.S. Senators this morning without delay and urge a YES vote. If you watch tonight’s TV news and see a first big defeat at the hands of the Senate for President Trump and you didn’t make those two phone calls you will regret it. Please make that call: (202) 224-3121. There is no Presidential nominee more committed to change than Education Secretary designate Betsy DeVos, who has spent decades of her life helping campaign for school choice and an end to the monopoly control of our schoolchildren by big government, big labor union bosses who always support the Democratic Party. That explains why they are going all out to defeat this nominee. That explains why two Republican traitors in the U.S. Senate have bowed to the leftwing pressure and have announced they will vote with the Democrats to defeat this nomination. Call (202) 224-3121 twice this morning, once for each of your two U.S. Senators and demand they vote YES on the nomination of Betsy DeVos for Secretary of Education. And there are two more things you can do to help support the Trump Agenda. 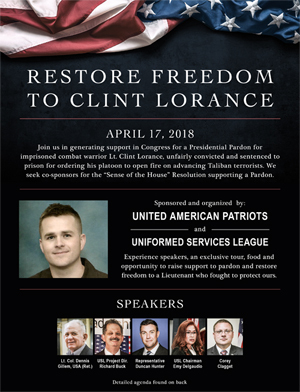 First, if you are able to, you should attend next Thursday’s Freedom Leadership Conference being co-sponsored by Americans for the Trump Agenda in Chantilly, Virginia. Registration Form 2/16 Freedom Leadership Conference “Governor Forum”. One candidate – Prince William County Board of Supervisors Chairman Corey Stewart – has confirmed he will speak. Another two have said it is on their schedule. A third said he is trying to change his schedule to attend. The chances are good that you will meet the next Governor of Virginia next Thursday in Chantilly, Virginia. You will also have the chance to vote for your favorite at the conference after hearing the speakers. For the conference flyer HERE. The second thing you can do to help us enact the Trump Agenda is to make a donation to help us pay for our work, such as next week’s conference, this website and our efforts to help confirm Trump nominees for the cabinet. Thank you for your help to enact the Trump Agenda.